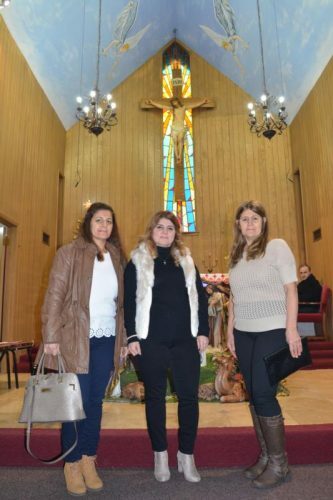 CHICAGO (CNS) — On a recent overcast Sunday morning in northwest Chicago, the pews of the small wood-paneled St. Ephrem Chaldean Catholic Church were filled to overflowing. Among the rows of Massgoers sat Firaz Rassam and her sisters. 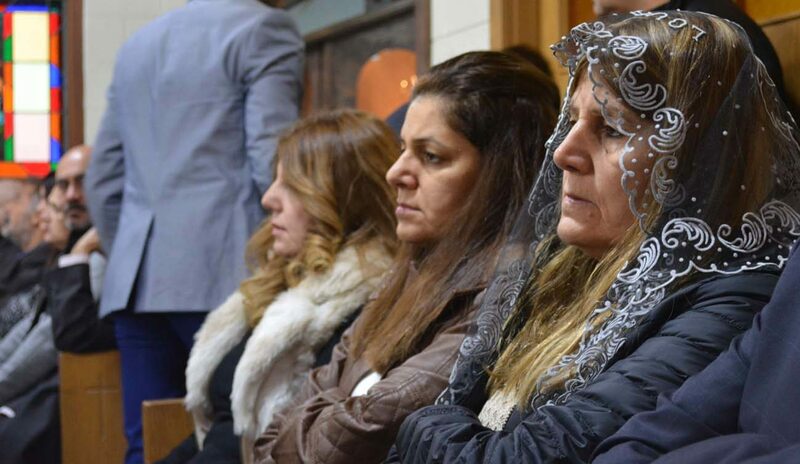 Deacon Shabila, who has asked that his siblings be allowed to come to the U.S., said it was also around Christmas time that one parishioner’s adult son was killed in Iraq 10 years ago. Shabila served as interpreter for the parishioner, Maria Yonan. Yonan said every Christmas her grandsons visit and she makes special Christmas candy called klecha, a treat that “makes people happy” and signifies a joyful time. But this year, Yonan said she was not planning to make the candies because she is in mourning after the Nov. 25 death of her son-in-law, who suffered a heart attack in Baghdad. Hazim Maryaqo and his family also will not be celebrating Christmas this year because of the death from illness of his brother in Baghdad. Maryaqo, 49, arrived in the Detroit area Oct. 4 with his pregnant wife and three children, all younger than 8. In Chicago, the Rassam sisters’ nephew, Rakan Kunda, said even if his own family has been living in the U.S. for two decades, they “always remember … family back home” at Christmastime.